HARVEY, MOSES, Presbyterian clergyman, essayist, historian, and naturalist; b. 21 March 1820 in Armagh (Northern Ireland) of Scottish descent, son of the Reverend James Harvey and Jane Holmes; m. 7 July 1852 Sarah Anne (Jessie) Browne in Cockermouth, England, and they had three sons; d. 3 Sept. 1901 in St John’s. Moses Harvey was educated at the Royal Academical Institute in Belfast and ordained to the Presbyterian ministry in 1844. He served the John Street Presbyterian Church in Maryport, England, to be succeeded there by his younger brother, William. Accepting a call, Moses and his wife, Sarah, emigrated to Newfoundland. They arrived in St John’s on 4 Oct. 1852, and for the next 26 years he would serve St Andrew’s Free Church well. Harvey was a man of unusually rich attainments. He gained recognition as a preacher, drawing many to hear his “carefully prepared, graceful and polished discourses.” His sermons “provided a continuous source of attraction and inspiration,” and the church prospered. Since 1845 two Presbyterian congregations had existed in St John’s, one under the authority of the Church of Scotland and the other under the Free Church. Steps were taken in the 1870s toward union of the two congregations, a move Harvey strongly favoured. However, the success of his own ministry was for many an impediment to an easy unification. Amalgamation was finally achieved in 1877, after fires had destroyed both church buildings. Harvey resigned that year, but the sources do not agree on what prompted his decision to do so. The eminent historian Daniel Woodley Prowse* attributed it to his voice failing; others to loss of hearing. He accepted a life annuity and held the position of minister emeritus until the following year. 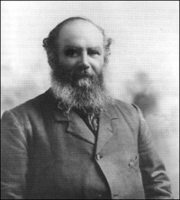 On the retirement of the first permanent incumbent of the combined church, Leander George Macneill, in late 1886, Harvey assumed the ministry for a six-month period. Moses Harvey achieved considerable renown as a public lecturer. In 1861, with Prowse, he had founded the St John’s Athenæum, dedicated to the diffusion of scientific and literary knowledge. From the pulpit or lectern Harvey spoke on a broad spectrum of subjects, most often on topics that attested to his love for his adopted country and displayed a wealth of information which made him one of the foremost publicists for Newfoundland. He was also a prolific writer. His essays and regularly appearing columns, some under the pen-name Delta, of which no fewer than 900 appeared in the Montreal Gazette, would fill many volumes. He wrote and spoke extensively on the island’s natural history. It is no wonder therefore that, when a giant squid was pulled from the waters of Conception Bay in October 1873, a severed tentacle was taken to Harvey, a person the populace knew would be interested in it. Young Tom Piccott of Portugal Cove was encouraged to do so by the local clergyman, who told him that Harvey was “crazy after all kinds of strange beasts and fishes.” This specimen, along with an intact animal from Logy Bay the following month, enabled him to present proof of the existence of these giant cephalopods to British and American zoologists. He recalled some years later, “I was now the possessor of one of the rarest curiosities in the whole animal kingdom – the veritable arm of the hitherto mythical devilfish, about whose existence naturalists had been disputing for centuries. I knew that I held in my hand the key of the great mystery, and that a new chapter would be added to Natural History.” At least ten per cent of his essays deal with this squid, named Architeuthis harveyi in his honour until the taxon was altered in accordance with international rules of zoological nomenclature in the 1960s. In his first lecture to the Royal Society of Canada, Harvey had called for the establishment of a world-class laboratory for marine research in Newfoundland. 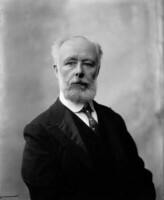 As a consequence, the society in 1893 appointed a committee under the chairmanship of George Mercer Dawson to consider the whole subject. Simultaneously Edward Ernest Prince*, commissioner of fisheries for Canada, advocated such a station. Efforts by the Royal Society of Canada and the Department of Marine and Fisheries led to the establishment of a floating station in the Gulf of St Lawrence in 1898. 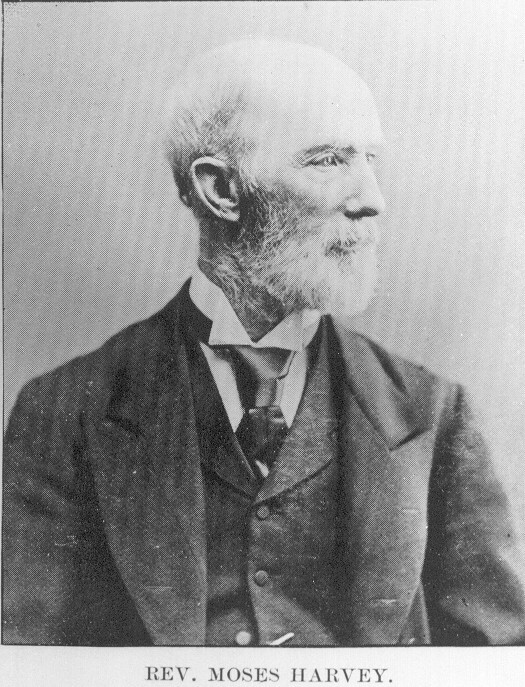 It was the progenitor of what would become the Fisheries Research Board of Canada, and clearly Moses Harvey played a major role in the events leading to its creation. Harvey received a number of honours for his work. He was made a fellow of the Royal Geographical Society in 1886 and the Royal Society of Canada five years later. The Montreal Gazette observed that as the frsc was “generally reserved for the best and brightest men in the Dominion, the honour is made remarkable by being extended to a citizen of Newfoundland.” Also in 1891 Harvey was awarded an lld in absentia by McGill University. He was an honorary member of the New England Historic Genealogical Society and a corresponding member of the Nova Scotian Institute of Science. Although an ardent advocate for Newfoundland, Harvey was equally persuaded that its future lay in confederation with Canada. In his many books and articles on the colony, he emphasized its natural resources and its strategic location between the Old and the New worlds. 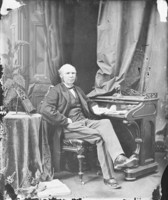 He proclaimed in 1869, “Happily for herself, Newfoundland is at length convinced that her interests lie in joining the Dominion of Canada, and in all probability the union will be consummated in a few months.” Ironically, these words were written on the eve of an election in which the pro-confederate parties were soundly defeated [see Sir Frederic Bowker Terrington Carter*]. Throughout his retirement Harvey lived and wrote at 3 Devon Row in St John’s. It was there in 1900 that his wife died, apparently of complications associated with diabetes. The last year of his life was one of family problems, insomnia, loneliness, and depression. Details of his death are uncertain, but his body was found in the back garden of his home at about 6:00 a.m. on 3 Sept. 1901. 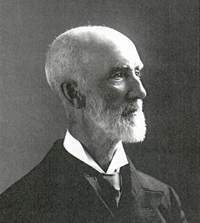 There is no complete bibliography of Harvey’s vast output of essays, articles, and other writings; the most thorough study to date is R. P. Osmond, “Nineteenth century Newfoundland’s most important man of letters: a biographical, bibliographical and critical study of the Rev. Dr. Moses Harvey, ll.d., f.r.g.s., f.r.c.s.” (St John’s, 1974), an unpublished typescript in Maritime Hist. Arch., Memorial Univ. of Nfld (St John’s), 104-B-2-10. Partial listings also appear in Biblio. of Nfld (O’Dea and Alexander), Canadiana, 1867–1900, CIHM Reg., and Science and technology biblio. (Richardson and MacDonald). 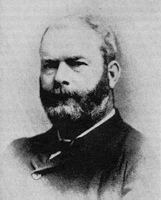 Harvey also served as editor of the St John’s Evening Mercury in 1882–83. 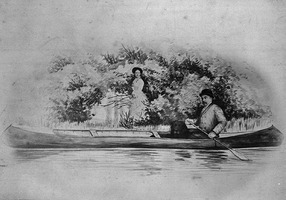 Publications by Harvey consulted in the preparation of this sketch include: “A geological discovery in Newfoundland,” Stewart’s Quarterly Magazine (Saint John, N.B. ), 3 (1869–70): 51–60; “The artificial propagation of marine food fishes and edible crustaceans,” RSC Trans., 1st ser., 10 (1892), sect.iv: 17–37; “The seal fishery of Newfoundland,” his introduction to Report of the Newfoundland seal-fishery, from 1863, “the first year of the steamers,” to 1894, comp. L. G. Chafe (St John’s, 1894), 3–6; and “How I discovered the great devil-fish,” World Wide Magazine (Philadelphia), 2 (1899): 732–40. Evening Telegram (St John’s), 3–4 Sept. 1901. F. A. Aldrich, “Moses (Harvey) and the living waters: Victorian science in Newfoundland,” Early science in Newfoundland and Labrador, ed. D. H. Steele (St John’s, 1987), 86–120. A. T. Barr, “The ministry of the Kirk,” St. Andrew’s Presbyterian Church, St. John’s, Newfoundland, 1842–1942, ed. R. Duder (St John’s, ), 14–24. The book of Newfoundland, ed. J. R. Smallwood et al. (6v., St John’s, 1937–75), 2: 225–26, 296–98. Kenneth Johnstone, The aquatic explorers: a history of the Fisheries Research Board of Canada (Toronto and Buffalo, N.Y., 1977). W. M. Moncrieff, “A history of the Presbyterian Church in Newfoundland, 1622–1966” (bd thesis, Univ. of Toronto, 1966). Patrick O’Flaherty, The Rock observed: studies in the literature of Newfoundland (Toronto, 1979), 73–76. Louise Whiteway, “The Athenaeum movement: St. John’s Athenaeum (1861–1898),” Dalhousie Rev., 50 (1970–71): 534–19. F. A. Aldrich, “HARVEY, MOSES,” in Dictionary of Canadian Biography, vol. 13, University of Toronto/Université Laval, 2003–, accessed April 25, 2019, http://www.biographi.ca/en/bio/harvey_moses_13E.html.